Should I Retire by the Beach? 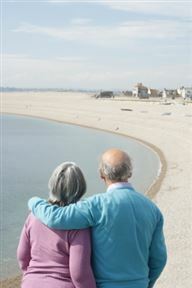 Where Can I Find Retirement Villages by the Beach? Escape to your own retreat by the coast, where you can enjoy the sun and holiday lifestyle with time to spend with family and friends. Feel the sand between your toes while you enjoy a peaceful walk, take time to have a relaxing swim or listen to the sound of the ocean while you sit back and get stuck into a good book. You can spend your afternoons bird watching, fishing or even sailing. The relaxed coastal lifestyle that a retirement village on the beach offers is simply unique, in a beautiful and picturesque environment where you can relax and feel at home.